100 Percent IT is a full-service ISP that offers outstanding services, support and technical expertise to all our customers. Our network boasts excellent internet onnectivity with world-class reliability and performance. We also supply a range of virtual servers and cloud storage from our three datacentres, two in London?s Docklands and one in Berkshire. We continue to invest a great deal of time and money to ensure that our services remain state-of-the-art with patent-pending cyber-security features and a wide range of options to suit most businesses. We supply leased lines, MPLS and EFM based products to companies around the UK and have been doing so since 2008. We also have a price promise guarantee along with an instant online quote tool. Telecommunications and Information technology services. Leading Managing Service supplier in the South West London, providing connectivity and security solutions such as Fortigate platform. Aflex provides wires only or fully managed connections. To compliment this, we can also provide a managed Next Generation Firewall to protect your infrastructure from the latest cyber threats and attacks, plus we can offer back up / failover connections for any mission critical requirements. We also provide a variety of other services please see our website for details. Ai Networks specialise in supplying enterprise-grade connectivity services to every type and size of business. Thanks to ongoing investment in cutting-edge technical infrastructure, they offer cost-effective services at up to 100Gbps speeds. And with constantly expanding dark fibre networks, exchange unbundling, and peering partnerships, Ai Networks can bring your business on-net with a truly global reach. cost effective connectivity or telephony solutions. they are buying and how it will really benefit them. We are an agile bunch of channel experts brokering deals in the IT and communications sector. We?re honest, transparent and extremely effective. And simple. We keep things nice, clean and simple. We enable our Partner Clients to simply provision and manage network services via our intuitive portal with aggressive wholesale rates and flexible contract terms. And because we love what we do everything is delivered with a smile as standard. At Assembly our team have top-end technical & commercial knowledge and access to one of the most extensive and established networks of connectivity partners in the country. Furthermore, our position in the market means we are able to leverage our influence to achieve not only the optimum combination of technology and commercial terms for your business, but also simplify the order and install process on your behalf. Supplier of high speed fibre networks, hosted voice and data solutions and Managed IT services. Coming up to 15 years in providing Telecoms solutions throughout the UK and beyond. Choose Avandda for advice with integrity, transparent pricing and a satisfaction guarantee. Contact us today on 0330 055 3355. Backbone London IT Support provides small businesses with managed IT and computer support, IT services and hosted solutions. service and superb technical support. budget through creative solution design and qualified, experienced people. Founded in 1991, BDR is an independent company still owned by our founding members. Dedicated to our core values and principles BDR will work closely with our clients to ensure their IT & communications requirements are always met. Our business has been built upon delivering excellence. BDR are proud to have built an established team of industry professionals who have developed within BDR and support our continuous development strategy. Beaming is an established Internet Service Provider for businesses across the UK. We deliver reliable voice and data services and provide ongoing support for long-term success. Our teams are hand-picked, not only for their technical capabilities but for their great people skills too. You?ll get friendly folk who know their stuff and are genuinely interested in helping your business. You?ll never end up talking to a robotic-sounding call centre operator, and we always speak plain English. We promise that you?ll never get stuck in phone queue or get frustrated waiting for a contact to get back to you. As a specialist company, we respond faster and provide a dependable service. Beanstalk Telecom provides a helpful and competitive telecoms service to our client base. We will manage the installation of the circuits on behalf of our customers and post installation will pro-actively manage the circuit to ensure service is running with as little downtime as possible. Bridge Fibre are a well-established internet service provider based in Cambridge who operate nationwide. We deliver internet and telephony services to over 1,000 companies throughout the UK. A provider of voice, data and bespoke communications solutions for businesses of all sizes. We Supply pricing options from every network in the area with a range of speeds to meet your needs and budgets. Calteq area leading supplier of data products for companies throughout the UK. Selecting from an array of broadband services, such as Superfast Fibre and Ethernet Leased Lines, we can offer you guaranteed speeds and connections from Tier 1 providers, at incredible prices. Cerberus is a provider of managed IT, hosted services, connectivity and communications to business customers in the UK. With a broad range of services delivered across our own network and hosting infrastructure, we ensure the highest standards of service and accountability. As an independent provider, we offer unrivalled flexibility and agility allowing us to meet the commercial and technological requirements of our clients with innovative and bespoke solutions. Channel Telecom, one of the UK?s fastest growing technology companies, are a leading provider of wholesale and retail telecommunication solutions. Sourcing services form a selection of the UK?s most trusted carriers, Channel Telecom offer a wide range of connectivity products, marketing exclusively through Channel Partners. A truly channel only business, Channel Telecom?s primary focus is on ensuring the success of their partners; through competitive pricing, marketing leading account management and a comprehensive portfolio, Channel Telecom strive to build a winning partnership. ChunkyChips provides low cost Ethernet leased lines, Ethernet first mile, MPLS and Data centre services. Clarion is one of the UK's premier Independent Voice and Data Providers, offering Unified Communications, Cloud/Hosted Solutions, IT Support, Mobile & Fixed Line services, Business Data Lines. Cloud Telephones is a leading communications company with over 15 years experience of working with SME's across the UK. We build bespoke voice and data solutions that are right for your needs, backed by unrivalled support and packaged to exceed your budget expectations. 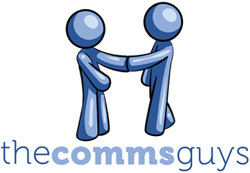 Established in 1997, Comms Connect is a trusted name for telecoms, supplying Voice, Data and Mobile Services for Business. Our business is built on excellent customer services. Central London?s largest Fibre to the Home (FTTH) Internet service provider. We will bring innovation and simple ideas that not only embrace the best of current technology but also the very best of traditional methods, so that you get the right solutions for your communication needs. At the heart of our business is a team of highly skilled software and hardware engineers. Every member of the team is hand-picked not only for their friendliness and levels of customer service but also their ability to solve any IT challenge that comes our way. At CompControl we believe in the continuous development of our staff and therefore you can be sure that our team?s skills are always up-to-date and relevant to you and your business. ConnetU are a London-centric enterprise IT and data centre ISP, specialising in highly available capacity, hosting infrastructure and associated support services for SME businesses. Conosco is a strategically-focused, outsourced IT support department for London-based companies, such as Cadogan Estates and Dennis Publishing. Our outsourced IT support services also helped ambitious start-ups, including Anya Hindmarch and Moonpig, grow into international brands. Solving IT problems and offering IT support is just the starting point for us. We are strategists and we invest time in understanding your business and what?s critical to it. This approach is the key to the strong relationships we have with our clients ? such as Anya Hindmarch, who have used our outsourced IT support and advice for over 14 years. We think long-term and set up our clients to handle growth and changes in IT by finding ways in which outsourced IT support can streamline current operations and facilitate future ones. We create roadmaps and annual budgets and report against them. Above all, we align our interests with those of our clients by offering unlimited IT support services for a fixed price. Headquarters in London, DoubleEdge is an independent, specialist IT and communications solutions provider founded in 2008. Since then we have grown to become service provider of choice for many market-leading businesses around the world. Clients are attracted by our ability to address all the major business challenges faced by today's IT Directors with an innovative range of solutions that can be delivered as a single service. From mobile contract optimisation and IT resource management services, to provisioning the latest converged voice and data solutions, clients trust us deliver sustainable reductions in operating expenditure alongside dramatic improvements in business performance. We combine the best people with the most sophisticated technology to provide tailored solutions that add real business value. We only partner with the world's top technology partners and network providers leveraging our experience to ensure best-in-class solutions that are both flexible and affordable. We are an independent managed services supplier, with over 25 years experience in delivering and supporting voice and data services throughout the UK. When it comes to providing data and voice connectivity services throughout the UK (and sometimes abroad), we're passionate about delivering straight-forward and positive experiences to our channel partners. We've established a reputation for quality and inspire confidence through the excellence of every aspect of our operations; ultimately we aim for you to be 100% satisfied 100% of the time. Formed in 1988, Esp as a company has endeavoured to provided bespoke telecommunication systems over enhanced deployment platforms. Primarily via personal recommendation, we promise all prospective client’s a friendly approach and independent advice in relation to their communication requirements providing assistance to a selected client base. In and around the London area. We are a Telecoms and Broadband provider which provide services to businesses all across Europe. We provide Tier 1 services to all sizes of businessess from small one site businesses across large multi site businesses. 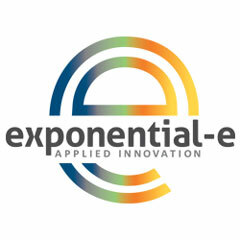 Exponential-e is an award-winning, privately owned British Cloud, Unified Communcations and Network Connectivity provider. Our services are underpinned by our own 100GigE secure, super-fast Network, flexible and resilient Cloud and Voice infrastructure and world-class Managed IT Services. Fastnet specialise in delivering high speed low latency connections to business. Our superfast connections are delivered over fibre and come complete with refreshingly rapid customer service and first class technical support. Fibre Options provides high speed internet services to multi-tenant locations, offering afforadable, symmetrical connections directly over fibre optic infrastructure. Fidelity Group is one of the UK's premier communications service providers delivering cost effective practical communications solutions for organisations of every size. We are committed to making your telecoms and IT work harder and more effectively while also lowering your costs. Our broad portfolio of quality products, technologies and networks, coupled with our independence, ensures that we can provide fully joined up, cost effective communications solutions from Tier 1 network providers and well established, world class suppliers. 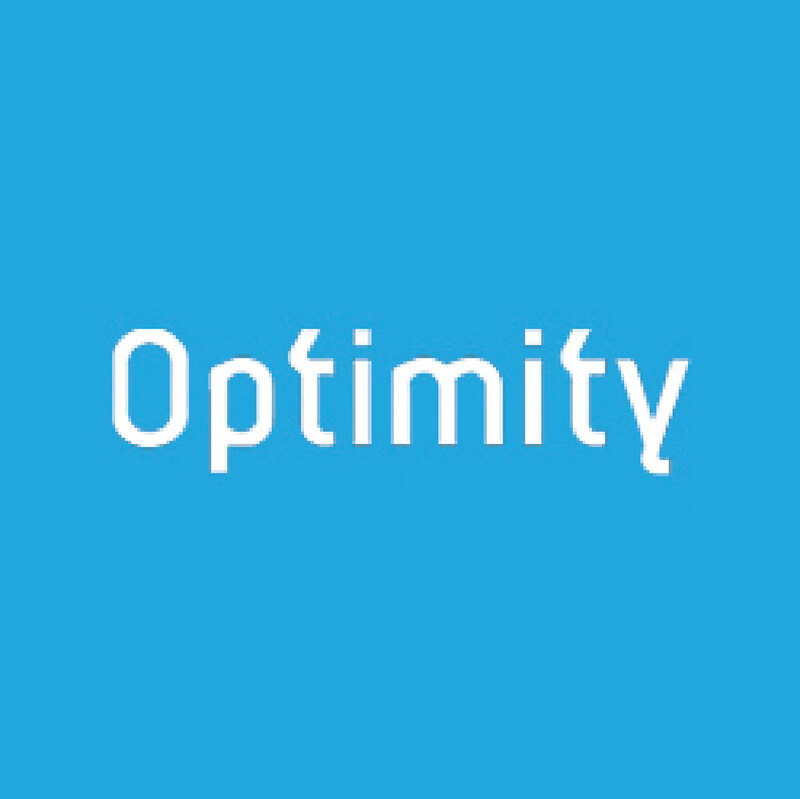 These solutions are backed up by qulity service, incorporating the UK's state of the art billing, network monitoring and 24/7 technical support. Provider of communications to small and medium business in the southeast and London. FluidOne offers high quality, secure data, voice and cloud solutions. Pushing boundaries through product and technology innovation; in turn delivering trusted, cost-effective services across many business sectors. An award-winning business, FluidOne was presented with the Queen’s Award for Innovation in 2014. Focus Group is an award winning leading UK Communications provider, specialising in all aspects of Business Communications to SME, Mid-Market and Enterprise clients in the private and public sector. We provide cost-effective solutions across a wide range of products, such as IP Voice, Mobiles, Data, IT Support, IAAS, SAAS, Security, Print, Media and Energy. Established in 2003, Focus Group has delivered dynamic growth at over 20% year on year. We've been listed in the Deloitte Fast 50, the EMEA 500 and on four separate occasions in the Sunday Times Tech Track. G.Network is the next generation communications service provider exclusively focused on Central London. The company provides affordable ultra-fast (up to 100) fibre connectivity to businesses. We are building our own 'Fibre to the Premises' (FTTP) fibre optic network directly into premises across the Capital meaning we can offer unrivalled quality and sppeds at affordable prices. Bridging the gap between constrained copper based connectivity and expensive, long lead time leased lines, G.Network's fibre-based connectivity will transform the way you do business. Established in 2005, Giotech is a world-class provider of outsourced IT services based in the heart of the Docklands East London. Glemnet is an independent service provider of telecoms, cloud and IT services to businesses of all sizes- from start ups through to SMEs and large enterprises. We have a wealth of knowledge and have over 16 years experience in deciphering the perfect solution for differing communication needs. We pride ourselves in being innovators and solution builders which allows us to take your business challenge and provide a cutting-edge solution that will inherently better your current set up. Gradwell Communications Ltd are an award-winning provider of communications technology that works for small businesses. Their Voice over IP (VoIP) internet-based telephony, superfast broadband and cloud communications solutions are currently used by over 22,000 small businesses and partners across the UK. WAN & LAN Services for commercial & residential places of work. Founded in 2000, HighSpeed Office Ltd (hSo) is a leading and award winning network service provider specialising in delivering bespoke cloud solutions for voice, data and IT security. hSo provides UK organisations with whole market site-to-site connectivity, Internet access, hosted telephony, virtualisation and direct connections to Public Cloud Services providers. hSo customers include GAME, Texas Instruments, the NHS, KKR, The Salvation Army, Britannia Hotels, CLIC Sargent and Teach First. hSo is one of a small number of SMEs that are part of the government's RM1045 Network Services Framework. The company has established blue-chip investors, such as Canary Wharf Group and Aviva and is stable, financially sound organisation. Winner of the UKs best Superfast broadband for the past 4 years. Hyperoptic offers the UKs fastest fibre broadband. With 3 unique packages, tenants can meet their connectivity needs, with prices starting at only œ30 per month. We are delighted to help Westminster Council improve connectivity speeds. Please contact us to find out how we can help you and your business. A 28 year young supplier of Business Telecoms, Ethernet, Broadband, Hosting, Business Lines, and Calls, Hosted Phones and Premise Based Telephone Systems. All sold, delivered and supported by dedicated teams of communications specialists. IFB is a recognised and innovative solutions provider for core business ICT infrastructure services. Independent and headquartered in the UK since 1996, IFB supports over 900 business clients both domestically and internationally, 80% of which have been with us 5 years or more. Immervox is a business communication solution specailist, offering bespoke solutions matched with peerless service and commitment to gaining the best possible outcomes for our clients. Our connections are fast, scalable and reliable. Looking for Ethernet connectivity or a WAN Solution? Our great service will mean you'll want to stay connected with us. Inifi offer superfast Internet as well as reliable Wi-Fi and guest portals, with a focus on provision to the hotel and restaurant industries. We understand and have the best solutions for your internet requirements. Enterprise level solutions provider for companies of all sizes. Service include Connectivity, Hosted Desktop, Office 365, Microsoft Azure and Support. IT and telecommunications experts for over 20 years, working with the leading Phone systems. We offer a total managed end to end solution and with our own private network you never need to access the public internet again. We provide a secure, reliable IT service that is proactively monitored for you by us. We build relationships with our customers and work with you as a partner not as a supplier. We believe that when you upgrade the tools you use to communicate you have the possibility to do something out of the ordinary: to transform the way you work. By focusing on the technology alone most organisations miss the opportunity to become more accessible, more responsive and more effective. At IP Solutions we see our role as bringing businesses and communications technology together in new and unexpected ways – to take advantage of the possibilities. In essence, to make you business brilliant. itQED provide broadband connections, Networking and IT support to Small and Medium Businesses in and around London and the Thames Valley. We are a provider of managed services and are connectivity and leased line specialists offering a wide range of different technologies, all of which are supported by our in-house team of skilled professionals. Each of our engineers have different areas of expert knowledge, from hosted or cloud services, to virtualisation, or hardware down to component level, therefore we are well placed to offer our clients a complete outsourced IT solution, leaving them free to run their business whilst we take care of their IT. LG Networks have been installing high-quality voice, security and data networks to the public and private sectors for over 15 years. Specialising in Telephone Systems, Data Cabling, I.T. Networks and HD CCTV, We're the people who sit in the middle of these different technologies and put I.T. all together. Line UK Internet is a business focused Internet Service Provider. We provide growing businesses and established SMEs alike with dependable, dedicated high bandwidth internet connectivity. We believe in logical solutions, that make things easier, save money and overall increase revenue ? making you, do better business. Luminet is the intelligent managed service provider, offering business connectivity, Computing and Intelligent services and Solutions. Luminet has peer to peer relationship with its customers and has the UK's leading NPS customer satisfaction score of 42 in telecoms and technology. Combining a true customer centric organisation with strong values, culture and capability together with technical excellence and best-value makes Luminet the partner of choice for business, supported by industry-leading SLAs, and ISO 9001 and ISO 27001 certifications. Best Business Broadband winner (ISPA 2016 & 2017), M24Seven is a connectivity and internet infrastructure provider, offering wired and wireless connectivity with speeds between 100Mbps to 10Gbps for business in London and nationwide. Our London promise is to connect businesses to faster speeds, faster than anyone else, including areas other providers cannot, and from as little as 5 working days. Each division is a specialist in its field for Services tailored to the customer. what is deployed is correctly aligned with your business needs. Merula provide a range of high quality internet solutions professional home, home office and business clients throughout the UK and Europe and beyond. Business to business providers of telecoms solutions, data connectivity, voice services and mobile telephony. MPS Networks is an end to end, fixed and mobile, voice, data and IT communications solution provider. From our offices in London, Birmingham and Portsmouth together with our Network Operations Centre in Brierley Hill, we work with private and public sector organisations nationwide, to define, develop, integrate, manage and optimise networked solutions which deliver business process change and return on investment. The Telecoms Experts - we are committed to delivering the right telecoms solution for your business, back by ongoing fast, efficient and friendly support. One-stop provider of Cloud Services, IT Support, Computer Networking, Fast Internet and VOIP telephony to SME businesses in and around London. 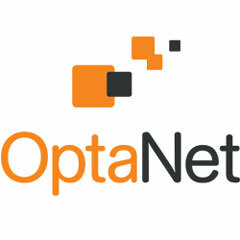 OptaNet deliver the full suite of internet products, including wired leased lines up to 10Gbps and wireless to 2Gbps. We are trusted by clients such as Microsoft, Telefonica and Valve Coporation. As one of the first companies to offer vouchers in the UK-wide Connection Voucher Scheme, we are well placed to help you understand your entitlement and help you make the most of the funding available to you. Optimity are the no 1 provider of Wibre, the pioneering alternative to fibre-optic leased lines. We are so confident that you'll love Wibre we'll take away after 30 days if you don't. So, why wait for fibre when Wibre is the answer? Peach Technologies are a multi-award winning technology provider of telecoms such as business phone system, IT, cloud technology, connectivity and digital services, such as innovative website design and development. Established in 2006, Peach Technologies has seen amazing success driven by our inward desire to always provide the very best services and solutions for our customers. Our mission is to continuously reinvent the ways our customers communicate, attract and interact with their customer. Internally peachiness drives our obsession to make technology simple. Externally we obsess so businesses can interact with ease and precision. Pen Telecom Ltd are an established telecoms company providing telecoms services exclusively to businesses. Pen Telecom specialise in the provision of VoIP services and connectivity services including broadband and lease lines. We are expert in the supply of hosted voice services. Pinnacle manage the supply and installation of telephony and IT solutions for SMB companies, which include the provision of external data connectivity. Bespoke providers of IT and Telecommunications solutions. Personal service and experienced, technical staff. Reeves Lund, established in 1986, is a lead in London based value added reseller of voice and data products and services. It offers a holistic approach to client needs whether they be data connectivity, hosted voice data or desktop services, mobility, wireless and support/consultancy. Reeves Lund enables clients to achieve their strategic ambitions through a joined up approach to all things ICT and IOT. Client quote, 'We consider Reeves Lund a reliable safe pair of hands to navigare us through the complexity of ICT'. RCUK, originally known as Rose Communications (UK) Ltd was established in 1999 and has grown to become a market leader and specialist for all the major UK networks offering Landline, Mobile, Broadband and Other Services. RCUK has three substantial retail branches and corporate offices in London, London NW and Manchester. We are widely known for our excellent, personalised customer service, as well as for our professional expertise in what has undoubtedly become a puzzling array of options, handsets and end user tariffs. We added International Phone Hire and International SIM Rentals to our already extensive service portfolio to further benefit our customers while travelling. We serve the local and surrounding communities from our retail branches in London, London NW and Manchester as well as acting as acting as telecoms consultant and supplier in the extensive business arena nationwide. Securus Communications Ltd is a managed network provider, offering next-generation infrastructure and bespoke, value added services to progressive businesses of all sizes, across all sectors. We make it our priority to offer network services that represent excellent value for money and are backed by exceptional levels of support. SiPalto specialise in providing Superfast & Fibre Optic Business Broadband in the UK. As a supplier for the Connect Westminster Scheme we help to get you set up quickly, ensuring your company benefits from this opportunity to get the high speed, reliable business broadband you are looking for. Smartinfo is a full service Fibre integrator installing and supporting FTTP Gpon solutions (Gigabit Passive Optical Networks). We specialise in multiple occupancy buildings and have the greatest number of deployed full fibre connections in Multi tenanted buildings in the UK. Softcat are one of the UK?s leading IT infrastructure providers and a FTSE 250 listed company. We?re passionate about outstanding employee satisfaction and world-class customer service - both of which inspire our flexible, friendly approach to business. Provider of connectivity and associated services, predominantly to the media, film and entertainment industries. 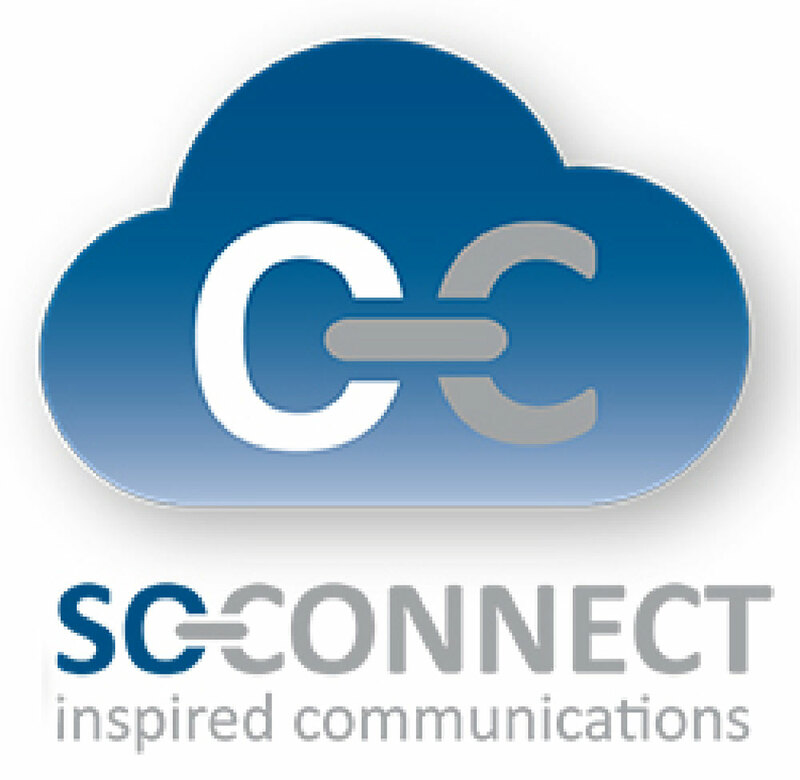 We're Cloud Communications experts supplying businesses across the UK with flexible and reliable Unified Communications and Connectivity. An award winning IT company with a distinct difference in approach and quality of solutions. We provide IT Managed Services, successfully integrating these with Voice and Data connectivity to provide a full and robust solution for our clients. 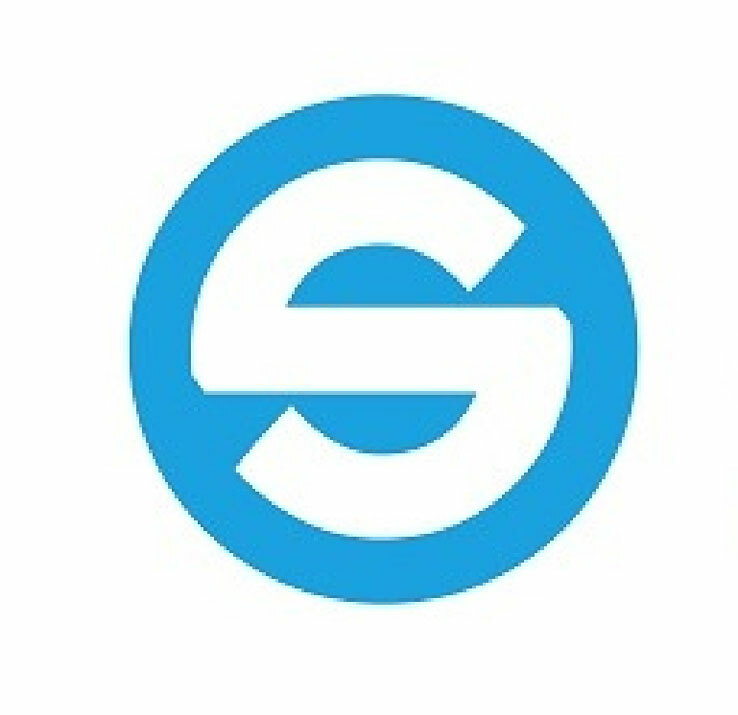 Spirit UK facilitate the provision of bespoke, reliable, affordable, high speed internet connections (shared/dedicated services) and with our solid technical IT focus we can then integrate these easily with your current IT & Telephone Systems allowing you to get the best from current and emerging technologies. We have solid experience in implementing and project managing installations under the Government SuperCities Voucher Scheme. As a specialist Business ISP, Spitfire offers one of the UK's widest ranges of business broadband and high speed Internet acess Ethernet circuits, with speeds availble all the way up to 10Gb. As an IP engineering led company we can recommend the best way to maximise the use of your connection for Internet, SIP and cloud connectivity. We offer customer focused delivery, market leading rates combined with industry leading support. Stickman is a leading provider of IT Infrastructure, Communication and Managed Service solutions. Since 2002, we?ve been helping our clients address their specific business challenges by combining best in breed technologies with our unique understanding, technical competence and dedication to service. Stickman has its own proprietary platform for the provision of internet bandwidth control into multi-tenant buildings. We combine best in breed technology with low prices, that?s why over 150 business centres across the UK have chosen Stickman to support their IT needs. Stream Networks Ltd are an accredited provider of cutting edge managed technical solutions. Operating with a strong balance sheet we own and continually invest in our network infrastructure providing our customers with the assurance their network operations are handled by a trusted partner. We offer a flexible portfolio of Cloud-Computing and On-Premise infrastructure to help businesses gain more from their investments in people and technology. Our range of business solutions also encompass IP VPN?s, MPLS & VPLS private networks, Direct Internet Access products along with managed Voice and dedicated security platforms. Stream Networks has a valuable range of knowledge and skills that enable us to both discuss strategy on the one hand, whilst being able to deliver rapid programs to manage change on the other. With this knowledge, coupled with both technical and practical expertise, we are able to manage all of our services and become an extension of your I.T. team allowing you to concentrate on core business functions. Our extended expertise and unique product portfolio provide a true single strategic technology partner. We run a comparison site for leased lines called www.leasedlinecompare.co.uk We compare all providers to find our customers not only the best price for their location but also the best service. We can offer all telecommunication services from Leased Lines, VoIP, Mobile, ISDN, Standard Analogue Lines and Broadband. We are an innovative Voice, Data and Internet Service Provider, who specialise in the implementation and management?of both legacy and Next Generation Networks (NGN) across the UK and internationally. Our ethos; to provide guaranteed Quality of Service across our voice, data and Internet portfolio; is reflected in our Service Level Agreements (SLAs), because the guarantees are engineered into the managed services we provide. Our SLA?s, call quality, data transfer and Internet download speeds are outstanding and offered only as a Business Grade managed service. Internet Services, IT Support Services. techsapiens provides IT services to SMEs with a focus on performance, reliability, security and unmatched value for money. We provide a comprehensive range of managed IT solutions ranging from internet access and VoIP telephony to managed security & IT Support and helpdesk services. Telappliant is a 14 year old technology services provider, specialising in providing managed telecoms, connectivity and IT services to small and medium sized enterprises. Headquartered in London Docklands, Telappliant is ideally suited in delivering high speed Internet services to its customer base. Using a combination of connectivity technologies, ranging from broadband to microwave, as well as its expertise in VoIP and cloud technologies, Telappliant can solve the business problems of SMEs requiring excellent customer service, competitive pricing and highly featured technology offerings. Telcom are specialists in fixed wireless and fibre circuits and can deliver any speed up to 10Gbps against a 99.99% SLA. Tempura supply communications products and services to businesses throughout the UK and across Europe. The portfolio includes Internet and office to office communication links, as well as IP telephony and videoconferencing. We are a family-run business that provides an excellent telecoms service for companies looking to save money on Calls, Lines, VoIP, Broadband and Leased Lines. Tradecor delivers innovative solutions that connect businesses and help them grow. Tradecor Solutions Limited (TSL) is a cloud communications and connectivity company that empowers businesses to easily and securely communicate between their headquarters, employees and business partners. We offer a comprehensive portfolio of Business Voice, Unified Communications, Business Internet, Private Networking, and Security services that increase productivity and customer satisfaction, while lowering costs. We take pride in creating the right solution for our business customers and providing highly trained service representatives 24/7/365 for support. Let us be your communications partner. As a leading provider in the South East of England, Trunk Networks are able to provide connectivity options to suit all needs and budgets. From resilient 10Gb/S dark fibre links to leased lines with DSL fail over we can match your requirements. We offer network design services so if your internal network does not match your Internet speed, we can help you deliver the user experience to exceed their expectations. Business telephony and communications solutions from a leading provider with UK based support. We are passionate about providing fibre connectivity in Central London that helps small and medium size businesses to thrive and stay competitive in the digital future. We do this so we can provide access to cloud services that ensures SMEs get the actual benefits of cloud applications such as off site collaborative working and communications and other productivity gains that flow from these new technologies. Through our Leased Line solutions V4VoIP deploy connections offering site-wide networks, enabling staff to interact with colleagues and customers in ways not possible through standard broadband or Fibre. We are on hand to offer advice to SMEs across the UK for fully scalable connections, delivering uncapped and uncontended circuits of up to 1Gbps. For Broadband with no drop in speeds, switch to a truly unlimited broadband with V4VoIP Ltd.
Vaioni is a multi-award-winning ISP operating our own metro fibre network in Westminster and nationally. We offer reliable, low-latency, uncontended fibreoptic connections to businesses. Verranti Ltd is a well-established company that offers a friendly, consultavtive appraoch, we listen carefully to customers' requirements and provide the best and most cost-effective solutions. Based in Surrey we service London, Surrey, Berkshire, Essex, Sussex & Kent. Our client service team are targeted with answering the phones within 3 rings and our triage system handles management of client queries in a controlled and efficient manner. Our mission is to provide outstanding service! Our Key Product sets are Fixed (Including connectivity), Enterprise Mobile, Energy Services & IT Support. Go beyond a leased line with uncontended, resilient, symmetrical Managed Internet Acess from Virgin Media Business. It's dedicated to your organisation, so you don't have to share bandwidth with anyone else. And it's symmetrical, so you get the same upload and download speeds; something broadband simply soesn't offer. It's simply made to fit your organisation, whatever its size. And with 99.85% service availability and 24/7 monitoring, our Managed Internet Access designed to keep you connected and secure - all the time. Join 50,000 small and medium enterprises across the country and unleash your organisation today. Virocom is a leading business communications technology service provider with its unique software layer managing a fully converged communications portfolio. Virocom offers a full range of VoIP, fixed Line, Mobile, Voice and Data products. Working with world-class suppliers such as Openreach, Colt, Cable and wireless, O2, Vodafone, Mitel, Avaya, Cisco, LG Ericsson, Polycom, Cradlepoint and Juniper, Virpcom offer an independent and technology leading service. Prime Fibre is a brand owned and operated by VenturaNext working in partnership with The Grosvenor Estate. VenturaNext invest in and operates fibre to the home (FTTH) Open Access networks globally. Prime Fibre services represent the best in internet access with direct fibre to the home or business, providing the fastest connectivity in the UK from a choice of services providers. A highly respected and trusted provider of Unified Communications Solutions to thousands of UK businesses. Wavenet delivers state of the art solutions through its extensive Product Portfolio that ranges from Data Networks, Hosted Telephony and Cloud as a Service. Our industry leading Service Levels and our wholly owned technical infrastructure allows us to provide commercial and technical excellence to the business community in the UK. Our Internet Connectivity offers a combination of market leading SLAs and enhanced security features such as DDOS Attack Protection Standard. WestEnd WiFi provides multi Gigabit fibre/wireless links, and estate WiFi, to London’s WestEnd. Our services are built on top of the extensive Colt London fibre network, and their secure hosting facilities. Service is based on the latest communications standards to ensure high bandwidth, low latency connectivity, for media, WiFi, CCTV and IoT deployments. We use local installation contractors, expert in the issues of central London, especially Soho. We also are sympathetic to local architecture, and have created a range of brackets and coverings that enable external equipment to be sympathetically blended into the street scape. Workplace Connect strive to be the trusted partner of choice for small to medium organisations in delivering Connectivity and Hosted Telephony through our solutions and services with exceptional customer service. zebraIT provide high quality, reliable superfast broadband internet connectivity for your business. zebra IT have one main vision and that is to provide the IT Infrastructure solutions which make up part of the foundation for the success of your business. Working with companies of varying sectors we provide the highest level of both technical and business support making us an excellent IT partner of choice.